Pre-planned communities and well designed housing developments usually have some sense of cohesion and unity. Now I am not talking about the individuals living with in it, but the visual look of the overall community. From a real estate and development perspective, a visually unified neighborhood is a great thing. It keeps property values up and in time drastically improves equity for the individual homeowner. Besides the visual appeal, there needs to be stability. A high turnover rate of property, rezoning, and even poor tree trimming jobs, can potentially cause a slow of the Return on Investment. This stability also means that the ideals of the overall community are similar. Below are some ideas to help unify the neighborhood. New development typically plant the same tree in the right-of-way on every single lot in the development. In new construction, it takes a minimum for these trees to get to a decent size. From personal experience, I have seen neighborhoods plant the same time of spring-flowering plant. 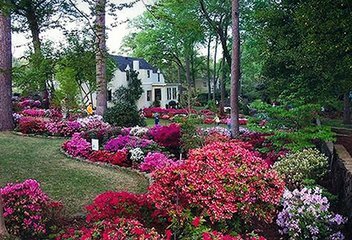 Azaleas, dogwoods, daylillies are typical. These neighborhood also create drive-able/walk-able routes to view the blooms. It really has a beautiful impact. 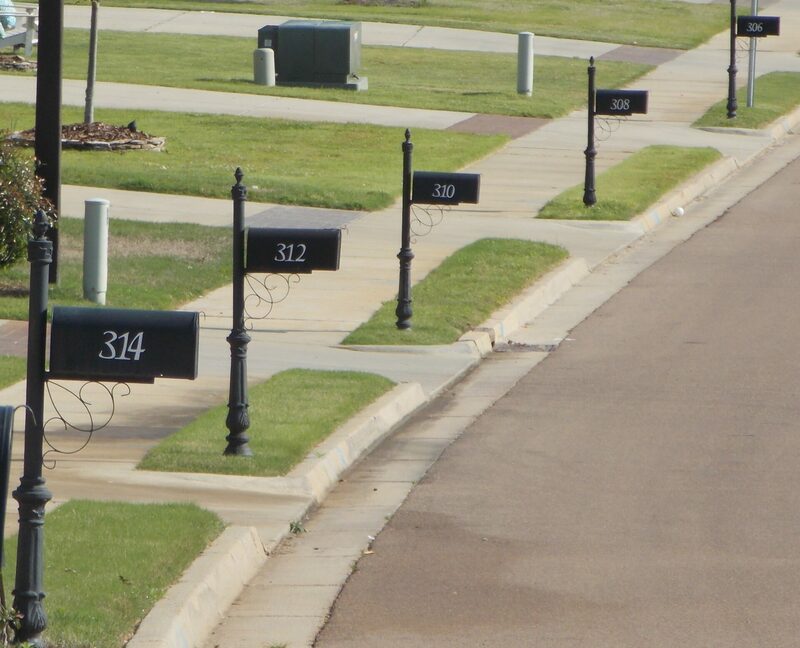 A relatively inexpensive way to help unify a particular street, neighborhood, or community is to have matching mailboxes. Let’s face it, a mailbox is an ugly thing. It is either a plastic, metal, brick, stone, or some combination of those elements that sits as a visual obstruction in front of the home or at the end of the driveway. To help create less of an eyesore, slowly transition to every property having the same or very similar ones. This guides the eye down the street and creates a sense of closeness between the different properties. Home Owner’s Association can be a great thing or a total pain. Just because one is formed does not mean it is what is best for the overall community. Some can be to controlling, others can be lax. If ran well, with logical and rational rules, they can keep and order and foundation to a community. Locally, I am aware of an HOA that has an incredibly impractical rule where you are not allowed to park on the street between the hours of 2-6 a.m. Yet other local HOAs have phenomenal rules where you can not keep a boat or trailer parked in front of your house for more than a week. Rules or standards like these create an overall unity within the neighborhood. In order to unite with people, you must interact with people. In reality not everyone gets along with their neighbors. If you are trying to better your neighborhood, connect with the neighborhood and see what the needs, wants, and concerns are of the neighborhood. Get the neighbors engaged. The best way to gather people is with food. Neighborhood block parties, cookouts, and parties are a fun and relaxed way to get the neighborhood together. What other ways can you unite your neighborhood?